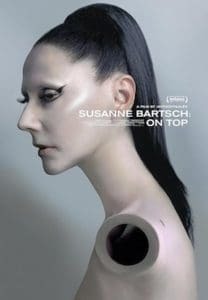 A spellbinding profile of a New York icon, SUSANNE BARTSCH: ON TOP by directing duo Anthony&Alex distills the milieu of Bartsch’s quotidian stasis between humanity and authority.Including superstars and LGBTQ nightlife dignitaries RuPaul, Simon Doonan, Michael Musto, and Amanda Lepore. 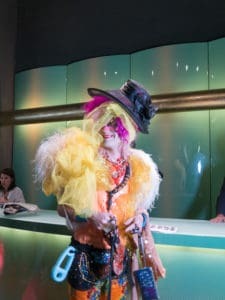 Bartsch’s contribution to fashion drives the narrative of the film as her collection is readied for exhibition at FIT (Fashion Institute of Technology). 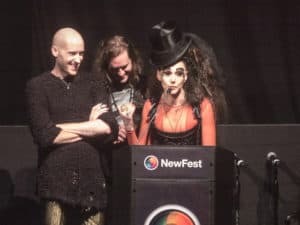 The directors disenfranchised with how aging women are treated by the fashion industry after making their film have decided to no longer make documentaries about the industry. (I was not clear of the current marital status), David Barton and their son, Bailey. What is clear is how much Susanne and David adore their son and how there is no instruction manual to parenting. David Barton is the famed trainer and gym owner of David Barton’s gyms.